Students at Lynchburg-Clay Middle School were evacuated Monday morning after a student made a bomb threat at the school. The student was taken into custody and will likely be charged, according to Highland County Sheriff Donnie Barrera. 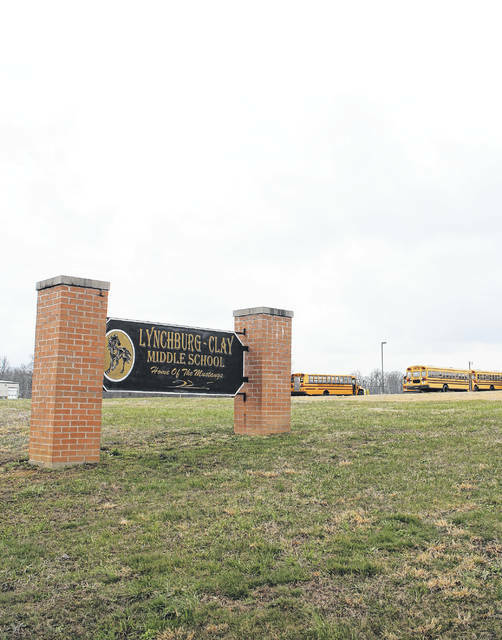 A sixth-grade Lynchburg-Clay Middle School student was taken into custody Monday after he allegedly made a bomb threat against the school, according to Highland County Sheriff Donnie Barrera. Barrera said authorities responded to the scene Monday morning after the office received a call from the school around 9:45 a.m. saying a student had made a bomb threat. A school resource officer and a sheriff’s deputy searched the school and found nothing suspicious, according to the sheriff. The student was taken into custody when authorities responded to the scene, Barrera said. Jenny Mobley, the mother of another sixth-grade student at the middle school, told The Times-Gazette Monday afternoon that students were evacuated to the nearby Lynchburg Area Fire and Ambulance District station and held until authorities gave the all clear. Mobley said she received a call from the school informing her of the initial threat, then a second call saying the situation had been resolved. “I think they handled it pretty well,” she said. Mobley said she believes this was the first incident of its kind at Lynchburg-Clay. According to Barrera, the suspect student will likely be charged with inducing panic. Two LCMS staff members reached Monday afternoon referred inquiries to Superintendent Brett Justice. The superintendent did not return a call for comment.